The Bella Petite Hour (with Host Ann Lauren) will star special guests beauty and skincare expert Shonda Chase, R.N. and petite fashion expert Kim Williams Dahlman next Tuesday, November 3rd at 10:00 am PST, live on AmericasWebRadio.com. This will be an informative and relevant show, discussing the best skincare products to correct skin problems and maintain your skin’s resilience and youthful glow. We’ll also learn about the latest cutting-edge treatments to literally reverse visible signs of aging! To complete your look, we’ll have petite fashion expert Kim Williams Dahlman share her top ten fashion tips and simple shopping strategies to save you time and money! Fashion Marketer and Author Kim Williams Dahlman has over 20 years experience working in the petite fashion industry, holding positions as a petite fashion buyer for Allied Department Stores, Belk Stores, and Director of Sales for Susan Bristol Petites. She’s regarded as a “Petite Fashion Coach” by Talbots Petites and Petite Sophisticates. Kim now owns and operates Fashion Marketing Services, Inc. an event-based consulting firm in beautiful Orlando, Florida. Her clients include Macy’s, Dillard’s, Belk and Bon-Ton department stores! She’s been featured in O, The Oprah Magazine and Kim’s television credits include Fox TV, the new series “Smart Women” and Home Shopping Network to name a few! Become a BellaPetite member today, it’s free & easy! You have a really cool radio show. I love very much what you’re doing! Thank you for the props! We’re happy you like our content. 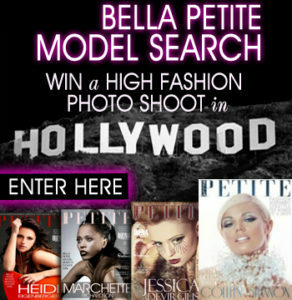 Don’t forget to become a Bella Petite member! , it will help you to get more visitors. I know how to help you and would like too!